Helping families plan the Celebration of a Lifetime...every day since 1907. 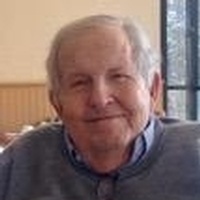 Robert (Bob) George Gilpin, Jr.
Robert (Bob) George Gilpin Jr., age 87, passed away on Wednesday, June 20, 2018 in Waterbury, VT. His children Linda, Beth and Rob were by his side. Linda, Beth and Rob Gilpin will be holding a memorial service for our parents, Jean Millis Gilpin and Robert George Gilpin Jr. on Saturday, October 13th, 2018, 11AM, on the campus of Princeton University in Princeton, New Jersey. We welcome friends, colleagues, former students, and anyone in the greater Princeton community who knew our parents to take part in honoring these two special people. The memorial service will take place in the Princeton University Chapel, immediately followed by a reception in the conference room of the Liechtenstein Institute on Self-Determination, LISD, in the Woodrow Wilson School, Bendheim Hall, ground floor, O19 - (use rear entrance due to construction). The reception will be an informal gathering consisting of a light lunch, conversation, viewing of photos and memorabilia, and most importantly, sharing of stories, memories and observations by all who wish to participate. We encourage you to share this information with others who might be interested in attending. If you would like to attend kindly RSVP by Tuesday, October 2 by emailing [email protected]. Please include (1) your name, (2) the number of attendees, (3) whether you will be attending the service, the reception, or both. Please also note if anyone in your party requires special assistance. For questions, please contact: Beth Gilpin at [email protected] or 802-244-4145. A third-generation Vermonter and walking font of information on Vermont and its history, Bob was at least as proud of his Green Mountain heritage as of his academic accomplishments. A quick-witted storyteller with a mischievous spirit, Bob could be counted on to burst into song or recite poems whenever the spirit moved him, and to dance at every opportunity, whether crashing a wedding in Switzerland or joining a group of monks at a remote temple in East Asia. Fascinated by different cultures, history, and people, Bob always said that some of the smartest people he ever met were farmers. Born at the height of the Depression, Bob’s earliest years were spent in Enosburg Falls, VT. He often described sleeping on top of the refrigerator in his parents’ restaurant, waiting until they could close up for the night and head home. While never forgetting his humble beginnings, Bob committed himself to obtaining a good education. Leaving home at sixteen, he moved to Hanover, NH and got a job washing dishes at the Hanover Inn, so that he could attend a better public high school than was available at that time in his small Vermont town. Bob headed to the University of Vermont and found his passion for political and philosophical discussions in the classroom of Lewis Feuer. He was one of a small group of friends, the self-named Feuerites, for whom Professor Feuer opened up an intellectual world they didn’t know existed. It was his encouragement to pursue a career in academia that gave Bob the inspiration and framework around which he built his life’s work. At UVM, Bob met his future bride, Jean Ann Millis, and couldn’t believe his luck when he caught the eye of the outgoing daughter of the university president. As Jean liked to tell it, Bob chased her until she caught him. Bob received his B.A. from UVM in 1952 and a M.S. from Cornell University in 1954. Following three years as an officer in the U.S. Navy, Bob and Jean moved to California where Bob got his PhD from UC-Berkeley. Bob spent a year working for the Atomic Energy Commission as a Congressional Fellow, where he was given extraordinary access to notes on the initial nuclear test ban negotiations between the U.S. and Soviet Union that resulted (nine drafts later according to Jean) in Bob’s first book, “American Scientists and Nuclear Weapons Policy” (1962). After post-doc work at Harvard and a first teaching job at Columbia, Bob and Jean moved their growing family to Princeton, NJ, where Bob joined the Princeton faculty in 1962 and earned tenure in 1967. A professor of politics and the inaugural holder of the Dwight D. Eisenhower Professor of International Affairs at the Woodrow Wilson School, Robert Gilpin was also a faculty associate of Princeton’s Center of International Studies and the Liechtenstein Institute on Self-Determination. He was a member of the Council on Foreign Relations and Fellow of the American Academy of Arts and Sciences, as well as a Guggenheim Fellow, Rockefeller Fellow, Lehman Fellow, and an Abe Fellow. Sabbaticals spent as a visiting scholar at academic institutions such as the London School of Economics enabled Bob and Jean to introduce their children to life in other countries. At home or abroad, Bob was seldom seen without yellow pad and pencil in hand (even on family camping trips — after all, you never know when inspiration will strike). Among his books are “U.S. Power and the Multinational Corporation” (1975),War and Change in World Politics” (1981), “The Political Economy of International Relations” (1987), and “Global Political Economy: The New International Economic Order” (2001). Several are considered seminal works in the fields of international political economy and international relations. Bob’s close collaborator on all was his wife Jean, whose inquisitive mind, editorial skills, and master's degree in international politics made her an ideal writing partner. After Bob retired from Princeton in 1998, he and Jean moved to Greensboro, VT, where their greatest joy was to welcome visits from family and friends. More recently, they made their home in Shelburne, VT, where Bob continued to follow world affairs, even working on a new book on the Iraq War. While his scholarship was immensely important to him, the roles that mattered most to Bob were those of teacher, mentor, colleague, friend, father, brother, son, and most important of all, husband. Even after sixty-two years of marriage, Bob still marveled that he had won the hand of Jean Millis. Devastated by her death last October, Bob never fully recovered from the loss of his life partner, co-author, cheerleader, social navigator, true love and source of inspiration in all he did. Bob is survived by his children Linda, Beth and Rob Gilpin (respectively of Waterbury, VT, Waterbury, VT and Newton, MA) and their partners Rick Blake, Mark Powell and Jan Gilpin, as well as grandchildren Jamie Benson, Hazen and Riley Powell, Everett, Jeremy, and Toby Gilpin, and Chase and Chelsea Benson (now Laukaitis). Bob was predeceased by his beloved sister Barbara, but maintained loving relationships with nieces and nephews near and far. Linda, Beth and Rob wish to express their deep appreciation to those whose attentive care brought dignity, comfort and joy to our dad’s final months. And nothing can repay the debt we owe to Brenna Gonyo for the skill, compassion, dedication and love that made her an integral part of our parents’ care, and of our extended family. 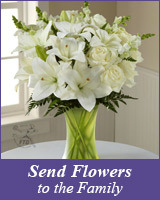 Assisting the family is the Perkins-Parker Funeral Home in Waterbury VT. To send online condolences please visit www.perkinsparker.com or the funeral home Facebook page.